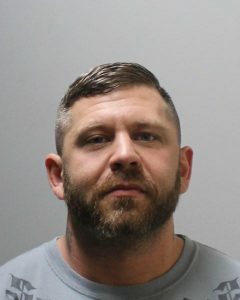 On 04/03/2019, the Ledyard Police Department patrol division received a complaint that Domestic incident had occurred at an address within the Town of Ledyard on 04/01/2019. An investigation was conducted, and an affidavit was compiled and approved by the New London Superior Court. Contact was made with the accused, 35 year old John Elias of Mystic, on 04/04/2019 at approximately 1:00 PM when the accused was observed operating a vehicle on Colonel Ledyard Highway. The accused stated he was driving to the Ledyard Police Department to turn himself in, however the accused’s operator license was discovered to be suspended. The accused was arrested and processed for Operating Under suspension, Criminal Trespass 1st, Threatening 2nd, and Breach of Peace at Ledyard Police Department without incident. The accused was released on a court-set $15,000 surety bond to appear at the New London Superior Court.